Stephen Colbert, Al Roker and Smokey Bear, oh my. For decades, Smokey Bear has been telling Americans, "Only you can prevent wildfires," but now, the iconic mascot is getting a little help from animated emojis –voiced by Stephen Colbert, Al Roker and Jeff Foxworthy - to keep spreading the word. The campaign, which is part of Smokey Bear’s 75th anniversary, was created in partnership with the Ad Council and FCB. "Smokey Bear and his friends know that wildfire is not just a western issue or a summer phenomenon. It's always wildfire season somewhere in the United States," said Jay Farrell, executive director of the National Association of State Foresters, in a statement. "This is why it is so important that Smokey’s message resonate year-round and nationwide with all Americans. 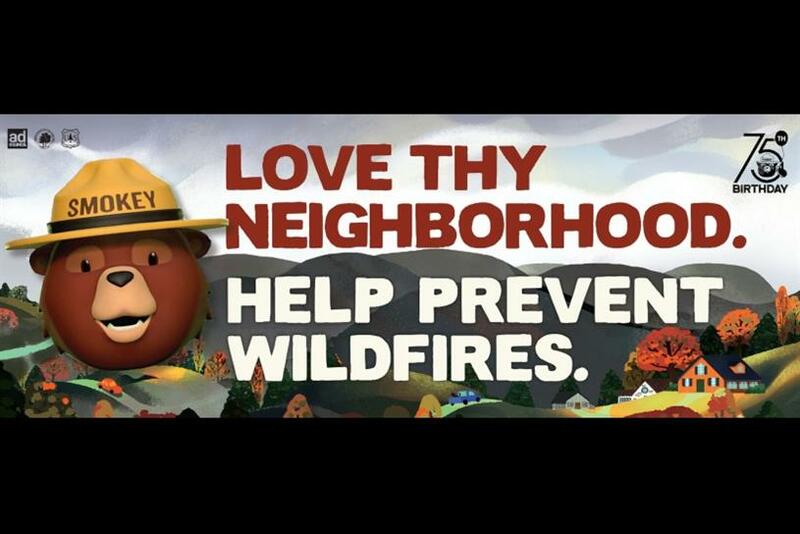 This year's Smokey Bear wildfire prevention campaign promises to do just that." The Smokey Bear campaign is the longest-running PSA in American history, with the icon himself being introduced in 1944, yet the message remains as strong as ever. Nearly nine out of 10 wildfires in the U.S. are caused by people. "Ensuring an icon like Smokey remains fresh and relevant for today's audiences is no simple task," according to Lisa Sherman, president and CEO of the Ad Council. "With this new work, our volunteer agency FCB created a campaign that not only honors Smokey's past but celebrates his enduring legacy and message of wildfire prevention."